Built 1862 for the theatre director, Johann Fürst. Opened 21 Apr 1862. 1865 rebuilding, re-opened as "Fürsttheater". 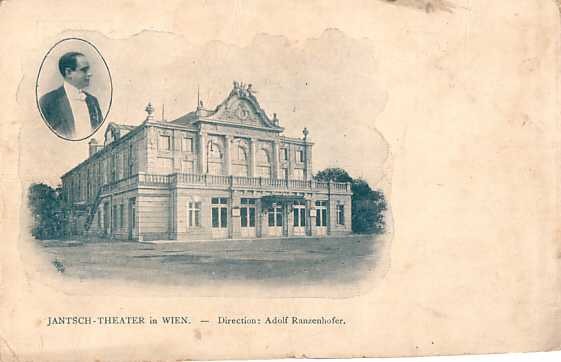 1893 renamed "Jantsch-Theater" after the theatre director, Heinrich Jantsch. 1898 rebuilding by Kupka. 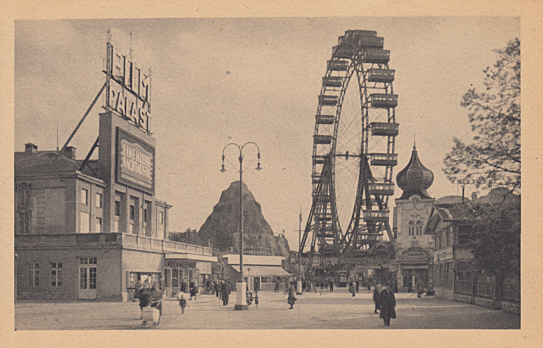 1905 renamed "Lustspieltheater". 1927 converted to a cinema and renamed "Lustspielkino". 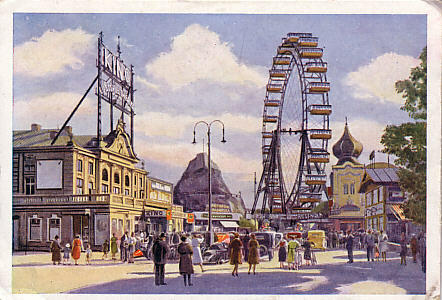 1938 renamed "Film-Palast", later renamed "Tegethoff-Kino" and again "Filmpalast". 800 seats. Destroyed by a fire in 1981. Front Text: "Jantsch-Theater in Wien. 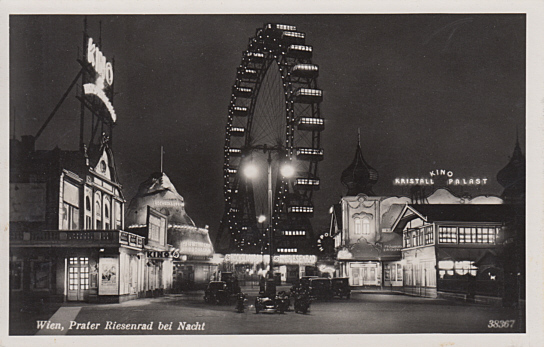 Direktion: Adolf Ranzenhofer"
Front Text: inscription above building: "Kino Lustspieltheater"
Front Text: "Wien, Prater Riesenrad bei Nacht", inscription above building: "Kino [Lustspieltheater]"
Front Text: inscription above building: "Filmpalast", sign: advertising the 1939 film "Eine kleine Nachtmusik"